It is always nice when a two celebrities get together, but it adds to the drama when they get together coming from another relationship. This is precisely what happened between Brad Pitt and Angelina Jolie’s relationship, it was around 2004 when the two met on the set of Mr. and Mrs. Smith. Pitt was still married to another actress Jennifer Aniston and they were inseparable. Just a few years after that the announcement of the divorce came around and just a month after the filing, Pitt was seen with Jolie. Rumors said that Pitt cheated on Aniston with Jolie and some people didn’t really like this so they speculated that their relationship will eventually fall apart since it didn’t start out right. Looks like these people are right since despite how long they have been together the two indeed went on separate ways and are now in the midst of a divorce. This is just as dramatic as the movies since their relationship has been in the public eye for so long that they manage to get the title of Hollywood’s most perfect couple. Turns out there really is no such as perfect as their divorce are getting messier than ever since it involves their children. The entire Hollywood scene was gobsmacked when the announcement of Brad and Angelina’s divorce resurfaced. The once power couple have only been married for two years, but have been together for more than a decade. A statement released by the actor was sent to People magazine saying that he is very saddened to share this news to the people, but are only thinking of the well-being of their children. They have asked the press to respect their privacy during this time of hardships. 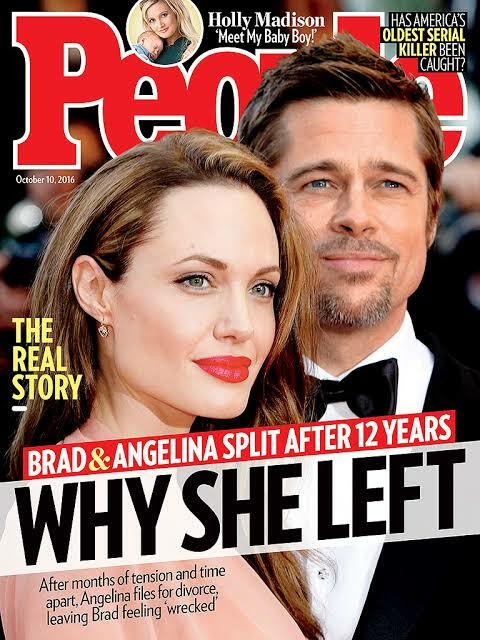 Jolie reported filed for divorce from the actor because of their irreconcilable differences. She has also asked for the physical custody of all of their six children – Maddox, Pax, Zahara, Shiloh, Vivienne, and Knox. This has totally shocked everyone since they had been one of Hollywood’s most famous couple over the years. There have been a lot of bumps along the way of their divorces especially when it comes to the custody of their children. Jolie has all of their children with her in London, since she has been filming for the sequel of Maleficent, while Pitt is filming in California for a new movie called “Once Upon A Time” by Quentin Tarantino. Insiders that personally know the couple stated that the two have always had their differences with their own lifestyles, but managed to make it through the years as a couple. However, as parents, they have always had a different approach and it can be very difficult that it eventually led to their separation. It was reported that Pitt’s lawyers were making a move against Jolie because of how the actor cannot easily visit or meet up with his children because of how far they were from him. If Jolie didn’t make a move, then she would’ve risked losing the custody. Once she is done filming in London, Pitt will take over the children’s welfare while they were back in the United States for certain periods of time to make up for it. They went on a trial last December and has been working on a court settlement. According to some sources, the actress is definitely not seeking sole custody of the children, she still wants her kids to have a good relationship with their father. Despite all the progress, however, the situation was said to be no in favor of Brad since it is not a proper arrangement. Some sources from Brad’s team even said that even if he will spend more time with his children in the next couple of months it will still be difficult for him to see them and be with them. When it comes to raising the children, however, sources said that Jolie is more of a laid-back mother since she doesn’t want them to be perfectly behaved at all times. It is something that she herself admitted in an interview with BBC recently. While Pitt is more disciplined especially when it comes to his way of living. She believes that they must be free growing up and be wild while still doing appropriate things.